BMW named Graeme Grieve as new sales head for its Mini brand and said Hendrik von Kuenheim will move to a management post at BMW Group from his current role as head of the company's motorcycles division. Grieve, 50, moves to Mini from his role as head of BMW's importer markets in the Africa, Caribbean, Eastern Europe, Asia, Pacific and Middle East regions. BMW executive Guenther Seemann, 53, succeeds Grieve. Von Kuenheim, 52, will take Seeman's current job as head of BMW's automobile business in the Asia, Oceania and South Africa sales regions. Von Kuenheim has led the motorcycles division since 2007. 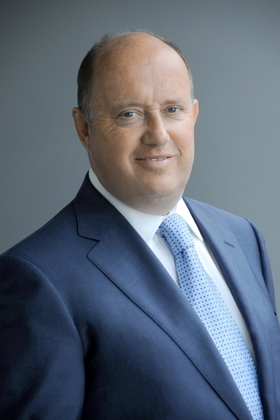 The son of BMW's former longtime CEO and supervisory board chairman, Eberhard von Kuenheim, he joined BMW in 1985 and has occupied a number of senior managerial roles within the company, including head of sales and marketing in Canada and Spain. Hendrik von Kuenheim will head Asia, Oceania and South Africa. Stephan Schaller, 54, will be the new head of BMW motorcycles. He rejoins BMW from his current role of vice chairman of the management board at Schott, a German specialist glass company. Schaller worked for BMW from 1981 to 1999. He had a number of managerial positions, including head of production at BMW's plant in Rosslyn, South Africa. The changes take effect on June 1.